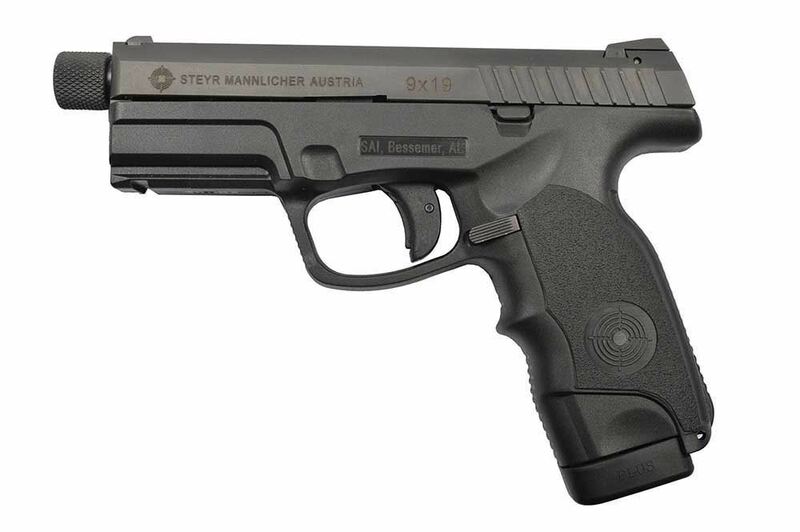 the Steyr M9-A1 striker-fired pistol is a mid-sized, semi-automatic, double-action handgun chambered with a magazine capacity of 17 rounds. The M9-A1 has a barrel length of 4” (102mm) and functions as an ideal general-purpose firearm for self-defense carry, home defense and sport shooting. An integrated rail allows for mounting a light or laser and slide-racking grooves at the rear of the slide allow for a firm grip when loading or clearing the chamber.